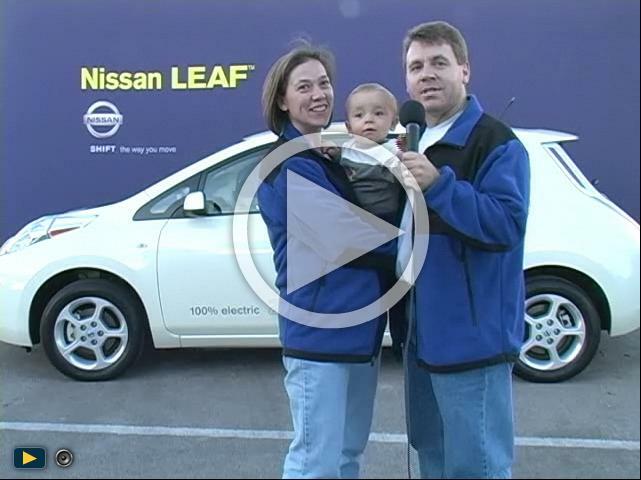 Help us win a NEW Nissan Leaf! 22-Dec-10 -- Lars and I went to test drive the Nissan Leaf on Saturday. It is a purely electric vehicle, and is so quiet that you couldn't even tell that it was on - except for the little light that told you! We finally upgraded our 13 yr old mini-van to fit our entire family into one car, but Lars' Honda is even older! Please help us win a car - watch and share our video and submit your vote! Click on the "Click here to see more information" link below to go straight to our video. Don't forget to confirm your vote!